Steven Pacey has narrated several books in the Penguin Classics series. These are vintage recordings, re-released from the Penguin archive for digital download. 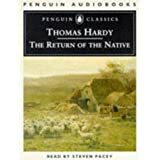 This recording, originally from 1995, is Thomas Hardy’s time-honoured classic Return of the Native. 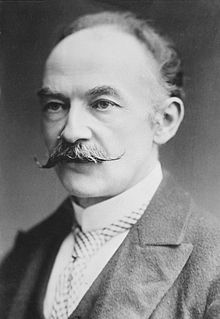 Thomas Hardy was an English novelist and poet. A realist, highly critical of much in Victorian society, though Hardy focussed more on a declining rural society. He was also influenced both in his novels and poetry by Romanticism. While Hardy wrote poetry throughout his life, and regarded himself primarily as a poet, his first collection was not published until 1898. Initially therefore he gained fame as the author of such novels as Far from the Madding Crowd (1874), The Mayor of Casterbridge (1886), Tess of the d’Urbervilles (1891), and Jude the Obscure (1895). The bulk of his fictional works, initially published as serials in magazines, were set in the semi-fictional region of Wessex and explored tragic characters struggling against their passions and social circumstances. “Do I desire unreasonably much in wanting what is called life – music, poetry, passion, war, and all the beating and pulsing that is going on in the great arteries of the world?” Tempestuous Eustacia Vye passes her days dreaming of passionate love and the escape it may bring from the small community of Egdon Heath. Hearing that Clym Yeobright is to return from Paris, she sets her heart on marrying him, believing that through him she can leave rural life and find fulfilment elsewhere. But she is to be disappointed, for Clym has dreams of his own, and they have little in common with Eustacia’s. Their unhappy marriage causes havoc in the lives of those close to them, in particular Damon Wildeve, Eustacia’s former lover, Clym’s mother and his cousin Thomasin. 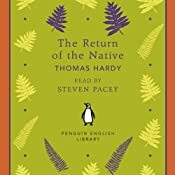 The Return of the Native illustrates the tragic potential of romantic illusion and how its protagonists fail to recognize their opportunities to control their own destinies.